Doosan, the South Korean company, trusts K.B.O to sell cabins for their whole forklift range. 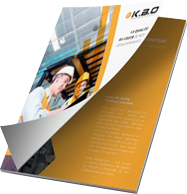 Choosing KBO means choosing quality. Would you like to find out more about our products for Doosan forklifts?